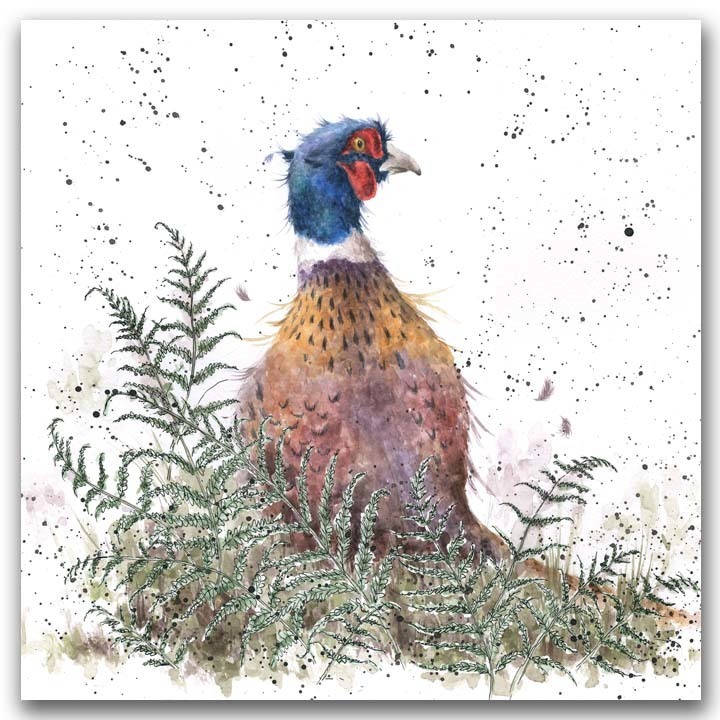 Pheasant and Fern blank card by Wrendale Designs. This card was inspired by the ‘Flora and Fauna’ of the beautiful British countryside. It is based on original artwork by award wining aritist, Hannah Dale and is brought to life in watercolour, pen and ink.